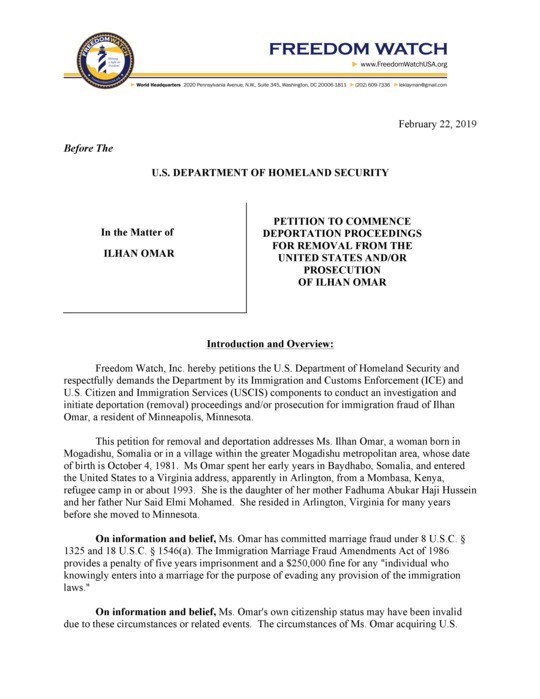 Klayman: See Freedom Watch Complaint Embedded Below to Prosecute and Deport Ilham Omar! If DHS Does Not Act It Will Be Sued to Force Action! 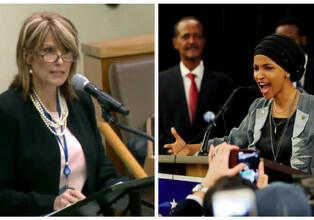 Ilhan Omar is an integral part of the Hamas arsenal," said Laurie Cardoza-Moore on Monday. "In Gaza they use missiles; in Congress they use Ilhan." Cardoza-Moore, the head of Proclaiming Justice to the Nations, a non-profit organization established to educate Christians about their Biblical responsibility to stand with their Jewish brethren, made her statement hours after a Hamas rocket pounded into a Jewish home in the Sharon region of Israel. "The objective remains the same: the utter destruction of Israel and America," Cardoza-Moore said of the rocket and Omar. "We the people cannot stand by as she continues to raise money for organizations that seek our demise while professing to represent the constitution."